In addition to our work as Salt Lake City’s best defense lawyers, we also work in forensic accounting, family law, personal injury, wrongful death and Utah Bankruptcy. 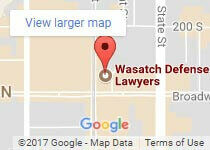 Wasatch Defense Lawyers have over 100+ years experience in successful outcomes for a wide variety of legal issues. Call us today for a confidential, no-obligation case review at 801.980.9965 to learn how we can help. Family law covers everything from adoptions to divorce, alimony to child support, and child custody and visitation as well. When it comes to your family, don’t take chances. Make sure you have Utah’s best family law attorneys on hand to help you. We are with you every step of the way. Family law in Utah can be a delicate matter, depending just as much on facts as it does on presentation. Much is left to the court to decide and any attempt to change the ruling afterwards is a stressful, time-consuming process—and that’s if a judge lets you reopen a case. Don’t chance it. Contact us now for a no-obligation case review and see what we can do for you or Learn More..
Are you struggling to return to normal after an accident? Did you slip and fall at a store? Or maybe a dog bit you or your child? These are all examples of a personal injury or catastrophic injury and we can help you get the care you need to get better. Many people hesitate to pursue injuries because they worry about the hassle, about being seen as complainers, or about the cost. Insurance companies prey on these fears to settle cases for pennies when you deserve real money for all of your pain and suffering. Our experts can help. If you’ve been injured because of someone else’s negligence, you may have a personal injury case on your hands. Motor vehicle collisions, medical or drug-related errors, and even dog bites can all be grounds for a personal injury case. If you’re worried about how such a case will affect the person responsible, don’t be. We’re not interested in destroying people’s lives; we just want to help you get better. Call us now to find out how or Learn More. Many people think bankruptcy means giving up. Nothing could be further from the truth. Bankruptcy is about getting the help you need to keep going, to keep trying. We get that. 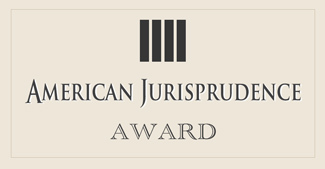 That’s why we guarantee you such a high level of personal attention from our experienced, sympathetic lawyers. Whether you run your own business, got blindsided by unexpected medical bills, or just need some financial room to breathe, we have the know-how to help you Call us now to find out how or Learn More. While most people associate the term “forensic” with crime scenes and police procedurals, it actually just serves as a description for applying scientific methods and techniques to a crime—or to establish whether a crime was even committed. Forensic accounting, then, is the study of financial records in order to look for fraud, embezzlement, or other financial crimes. The term also covers any analysis of financial information during the course of legal proceedings, such as evaluating insurance claims, complex inheritance cases, or even alimony and child support if there are a lot of financial assets involved. Our forensic accounting specialists can help with everything from insurance claims to investigations into possible fraud or embezzlement and more. If you want to make sure you get every cent you deserve, then don’t risk it—contact us today for a free consultation. We’ll go the extra mile for you. 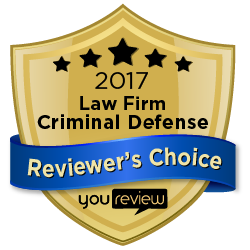 Call Wasatch Defense Lawyers today for a free case review at 801.980.9965!